Imagine trillions of pieces of plastic debris that, if strung together end to end, would line every inch of coastline in the world at least three times over. It's growing, too. A March 2018 study published in Scientific Reports reported it is four to 16 times bigger than in previous estimates. Records of the patch have been around since as early as 1988, but the concentration of debris received a significant amount of media attention in the 2010s. The environmental charity Plastic Oceans Foundation and social media company LADBible went so far as to campaign for the patch to be recognized as a sovereign nation in 2017. While the name may suggest an actual land mass, an island of garbage floating far out in the ocean, the Great Pacific Garbage Patch is nothing like that. Rather, it's a concentration of particles ranging from 10 kilograms of debris per square kilometer to over 100. "There's been a lot of different wording for this area, people call it like, 'plastic soup' or 'plastic smog,'" said Laurent Lebreton, head researcher at The Ocean Cleanup and lead author of the recent study. 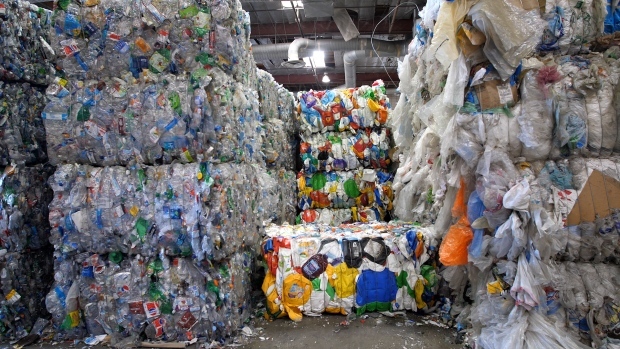 Instead, it's a patch in that there is a consistent concentration of plastic within the estimated bounds, he said. The phenomenon is observed in each of the world's oceans: accumulations of debris at the center of large-scale circular current patterns called "ocean gyres," which are created by winds and the Earth's rotation. "It really is a 'patch.' It's an area that keeps its integrity … the concentration of plastic inside this area is one to two orders of magnitude [larger] than outside," Lebreton said. In other words, the patch would not be visible from a satellite or even a plane, but close inspection reveals enough debris to impact marine life. The Ocean Cleanup determined the concentration and extent of the patch through observation with boats, nets and aerial imaging. Researchers projected the full extent of high concentrations of debris using an algorithm. Because the bulk of the patch's mass is larger debris, The Ocean Cleanup says cleanup is possible, if it's rolled out soon. "We need to clean up as much as we can before everything degrades into microplastics," Lebreton said. 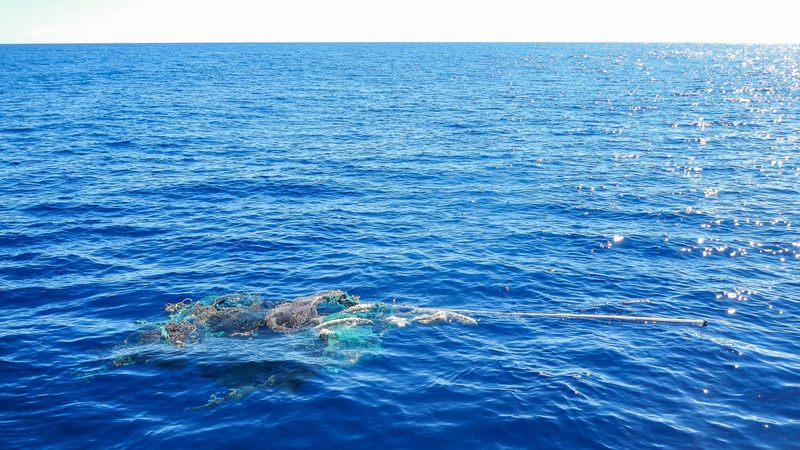 It would cost between $122 million and $489 million just to hire enough boats to clean the Great Pacific Garbage Patch for a year, according to a U.S. National Oceanic and Atmospheric Administration estimate from 2012. And The Ocean Cleanup projects the patch, and others like it in oceans across the planet, will continue to grow at faster rates if nothing is done to curb disposal of plastic into the ocean. Lebreton said that any solution toward prevention and cleanup will require "drastic measures" in the form of policy and planning at many levels — governments, corporations and cities. "Plastic pollution in the ocean starts in the street — everything goes down waterways, streams, rivers," Lebreton said. "So that’s how we tackle this. We need to stop putting plastic in anything that leads to the ocean."